A railway line closed because a landslip caused the track to be pushed upward is to reopen, Network Rail said. Following repairs, a reduced train service would run again on the line at Stainforth's Hatfield Colliery, South Yorkshire from Monday, 8 July. Network Rail said work would continue with engineers on site until about the end of the year. Services between Doncaster, Scunthorpe and Cleethorpes were affected by the incident in February. Network Rail said the full passenger timetable would run from Monday, 29 July. 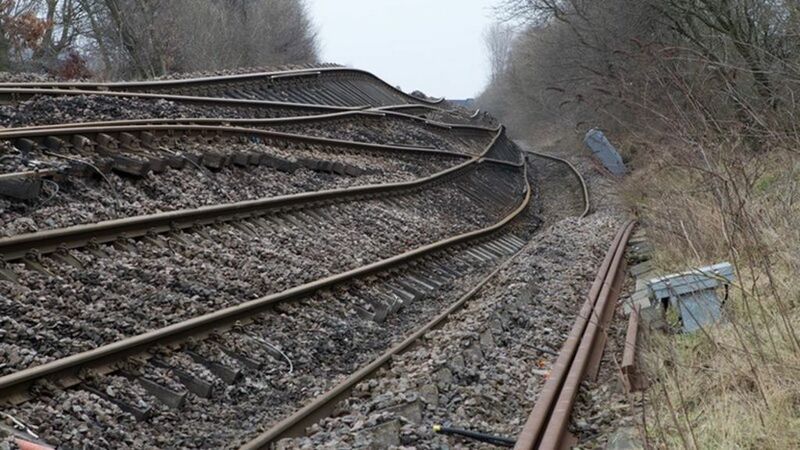 A railway line closed because a landslip caused the track to be pushed upward is to reopen, according to Network Rail.